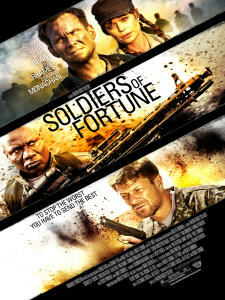 Movie Trailer: «Soldiers of Fortune». English Title: Soldiers of Fortune. Release Date: 07.06.2012 (Kuwait), 03.08.2012 (USA). Starring: Christian Slater, Sean Bean, Ving Rhames, Colm Meaney. The official HD-trailer in English for the low-budget action flick named Soldiers of Fortune (2012) brought by the studios Globus-film, Jeff Most Productions, Most Films and Metro-Goldwyn-Mayer. This Co-Production of the American, Russian and Ukrainian filmmakers cost around 8 mln. USD with a shooting taking place in Crimea. The main roles were given to well-known Hollywood actors, who are now mainly appearing on TV, in B-movies and in A-movies, though with cameos or second plan roles only. The script was written by Alexandre Coscas, Robert Crombie and Joe Kelbley. Amongst them, only mr. Coscas has got some real experience working as an assistant to various producers on famous action movies like Rambo (2008), The Expendables (2010) and his current work with the Kane & Lynch (2013) video game to film adaptation. In most countries, except Russia and the limited release in the U.S., this motion picture will be available directly on DVD and through popular overseas service known as Video on Demand. The plot tells a story of the U.S. Army veteran, Craig MacKenzie (Christian Slater) managing to get out of all the fights without any losses. 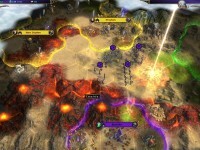 During his mission to Afghanistan his desire to keep this record makes him violate the orders of his commanders, what leads to him being fired from the special forces. Years after these events he is trying to cope with financial difficulties living in the USA, drinking heavily and playing cards for money. Once upon a time a woman named Cecelia (Oksana Korostyshevskaya) tries to enlist him to become a mercenary escorting a group of rich tycoons throughout the Snake Island in the Black Sea being engulfed by one Civil War conflict. There a ruthless dictator, colonel Lupo (Gennadi Vengerov), with the support of the former US-intelligence agent Mason (Colm Meaney) brutally suppresses the insurgents coming from a local population. 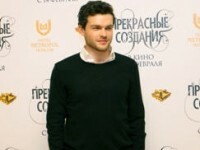 The action movie itself is directed by Oksana’s husband – Maxim Korostyshevsky. The newly formed team includes his old friend Reed (Freddy Rodriguez), who also needed money, as well as a young Wall Street banker, Vanderber (Charlie Bewley), steel tycoon Roman Saint John (Sean Bean) eyeing for local rare earth metals deposits, arms dealer Grimaud (Ving Rhames), the owner of the telecom business Sam Haussman (James Cromwell) and video game designer – Tommy Sin (Dominic Monaghan), who is much better known for playing Charlie Pace in the Lost (2004-2010) series on TV or for his role in The Lord of the Rings (2001-2003) trilogy. The mission for the group in the Soldiers of Fortune film is to bring to the rebels led by Ernesto (Ryan Donowho) a shipment of arms, getting a feeling of taking a part in a real armed conflict. The local military quickly attacked tourists killing all their bodyguards, and then all the rich people just have to admit they are now in a war zone with Craig’s and their own skills being their only hope for survival. The only weak spot of the tyrant is his cruel daughter named Magda (Sarah Ann Schultz). During the adventure the squad of good guys will not only try to save their own lives, but also has to reconsider its attitude to the local resistance forces and unveil secrets of each other. One of them belongs to Grimaud known as silent assassin for not forgiving any debts to this former customers. On the Russian side the Soldiers of Fortune film was produced by Natalya Smirnova supported by her American colleague – Jeff Most and his own studio. Cinematographer Masha Solovyova and costume designer Natalya Sokolova were also provided to the crew by the Russians. The soundtrack was recorded by famous American composer Joseph LoDuca, known for his music works contributed to the fantasy television series such as Hercules: The Amazing Journeys (1995-1999) and Xena: Warrior Princess (1995-2001). Running Time: 2 minutes and 16 seconds.